If you have a large number of servers, which are configured with SSL/TLS and you are out of track on their certificate validity, now all of sudden you are worried if some of the certificates are expired. Or if I think in some other scenario where you are required to understand underlying SSL/TLS configuration of your servers e.g. CipherSuits, Protocols, etc. Yes, in the traditional way, you can get all the information of your SSL/TLS configuration by login into an individual server and check the certificates but it is very difficult if your environment size is very high. To overcome this problem, I have to build a tool, which will give you all required details. JBoss Application Server ships with PicketLink module for enabling SAML based SSO. 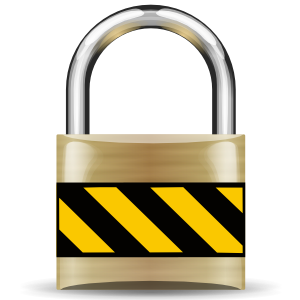 PicketLink is an open source module and it is SAML v2.0 complained, for more information about ‘PicketLink’ please visit picketlink.org. Now the requirement is to enable SAML based SSO in JBoss Application Server where IDP is OKTA. Tomcat by default ships with a couple of Realm implementations like, JDBCRealm, DataSourceRealm, and JNDIRealm etc. But sometimes it is not sufficient for your organization’s requirements and you are required to apply your own implementations. Recently I was facing an issue, the connection pool of datasource was failing to establish a connection with the DB due to account lockout. 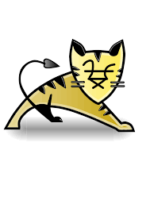 There are many application servers like Tomcat, JBoss, WebSphere, etc. where you cannot implement the connection pool using multiple users. Once I worked on a project where in the existing environment I needed to configure the JBoss Enterprise Application Server to communicate with WebSphere MQ where the WebSphere MQ was supposed to be communicating with Mainframe system using cluster queue of WebSphere. Initially I was blind, as I was not able to understand how I could configure JBoss to communicate with MQ. But after some research, I came to learn that it is possible to integrate JBoss with WebSphere MQ and an application deployed in JBoss can directly put the message in WebSphere MQ. If you’re very familiar with JBoss and it’s architecture, you can complete this task by creating new subsystem and corresponding extension. Before you start configuring JBoss, you need to install the adaptor of WebSphere MQ in JBoss. One can find the JBoss adaptor from WebSphere MQ library, the file name is wmq.jmsra.rar. Here are the steps for configuring an application to put the message in WebSphere MQ via JBoss Enterprise Application Server. Using the operating system to authenticate users on Red Hat JBoss Enterprise Application Platform (EAP) ? 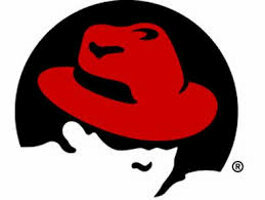 Recently, I was searching for a solution to configure the security domain of Red Hat JBoss Enterprise Application Platform with the local operating system based user registry so that the application could directly authenticate its users with local operating system users. I understood that it would be difficult to implement a generic solution, as authentication mechanisms are strikingly different between Windows and Unix/Linux. After checking several blogs and forums, I decided to implement this using JPAM for Unix/Linux and Waffle for Windows.